Please, don't touch the screen. : Netgear Genie... oh really? 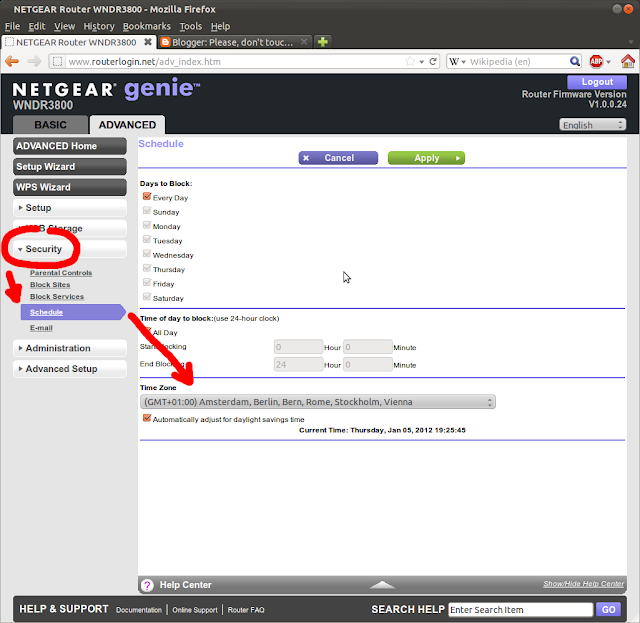 A runner up for the first place in the User Interface Bad Design Contest: the Netgear Genie. I was setting up wifi scheduling as I did on my old router, but I've found that the schedules were off by one hour. No big deal, maybe the router defaulted to GMT, but where did they put the time settings? But no... it seems that to Netgear engineers, time belongs to security.